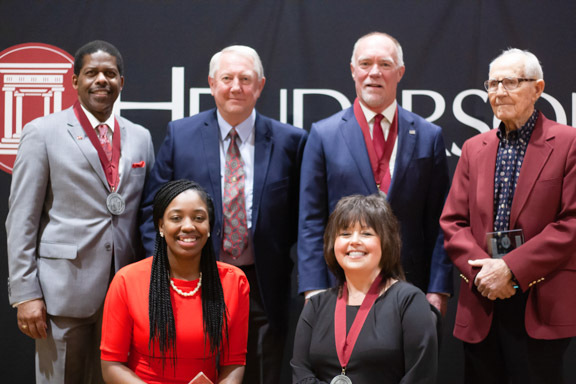 Henderson State University honored six outstanding Henderson graduates at the Alumni Awards Banquet Feb. 2. Pam Vaughan, Barry Bryant, and Garry Glasco became Distinguished Alumni, joining an esteemed group of outstanding men and women who have received the award. First awarded in 1972 to honor outstanding graduates, the Distinguished Alumni Award is the highest honor Henderson bestows on its graduates. Honorees have made outstanding achievements and contributions in their career, community, education, politics, social services and humanities. “H” Awards were presented to Ross Godwin and Charlie Payne. This honor is given to alumni, friends, faculty, or staff who have given meritorious service to the university. Krystal Beachum received the Young Alumni Achievement Award which is presented to a Reddie who is under 40 and has a notable career of personal accomplishments. Henderson State University’s nursing department received a $140,447 grant to establish a health education simulation center on campus. The center will include new simulation equipment and professional development. 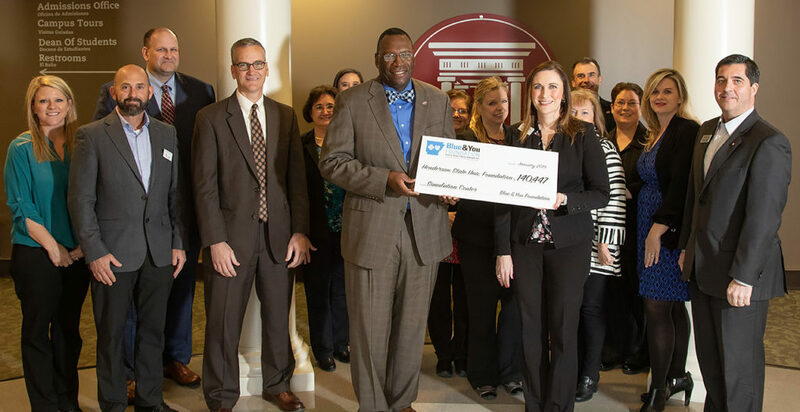 The grant was awarded to the Henderson State University Foundation by the Blue & You Foundation for a Healthier Arkansas. 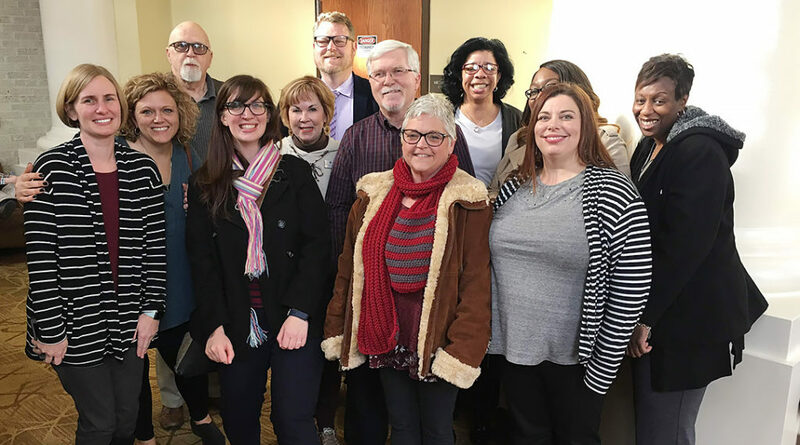 In all, the Blue & You Foundation for a Healthier Arkansas gave $2.7 million in grants for 2019 to improve health in Arkansas. The majority of the grant funds will be used to acquire simulation equipment and professional development necessary to supply and sustain the center, Austin said. A grand opening is planned in May 2019, and simulation experiences will start in spring 2019. 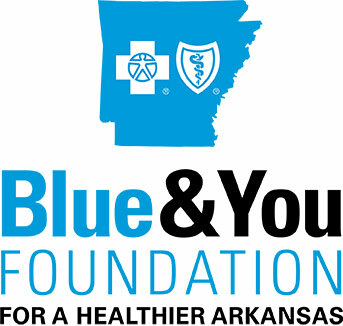 Arkansas Blue Cross and Blue Shield established the Blue & You Foundation for a Healthier Arkansas in 2001 as a charitable foundation to promote better health in the state. The foundation awards grants annually to non-profit or governmental organizations and programs that positively affect the health of Arkansas. In its 17 years of operation, the Blue & You Foundation for a Healthier Arkansas has awarded $33 million to 1,566 health improvements in Arkansas. When Randy McCauley arrived for his retirement reception on Jan. 31, he was totally unaware that bigger plans were in the works. About 15 minutes into the reception, a small group arrived with balloons and a large check. It was then that McCauley had realized he had received the Staff Award of Excellence for this quarter. McCauley has served Henderson as the Information Systems Coordinator Specialist for the past 13 years. His primary responsibility has bee to support faculty, students, and technology in the classroom. The reception was held in the Garrison Center Jones Room foyer. 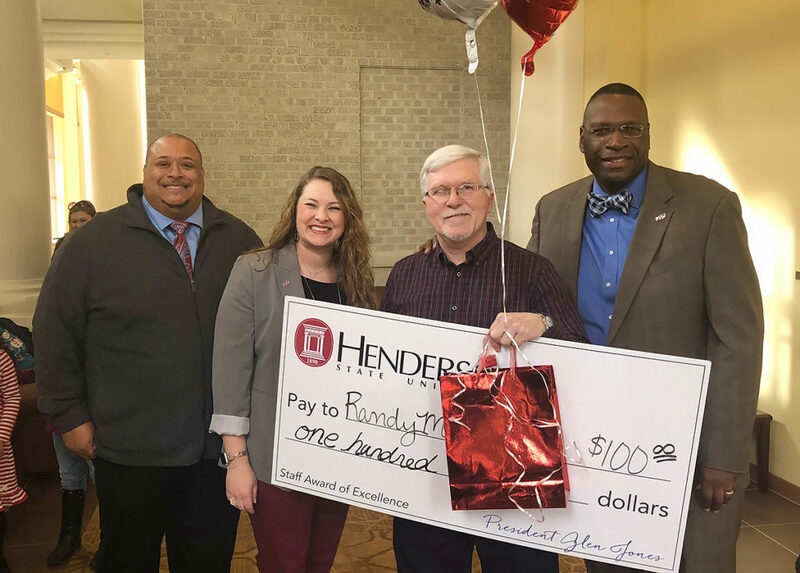 Henderson State University will host the 2019 Arkansas Undergraduate Research Conference April 5-6. Registration and abstract submissions are now open. Students may begin signing up by going to https://bit.ly/2B9ZcC4. For more information, contact Bateman at batemat@hsu.edu or 870-230-5306. 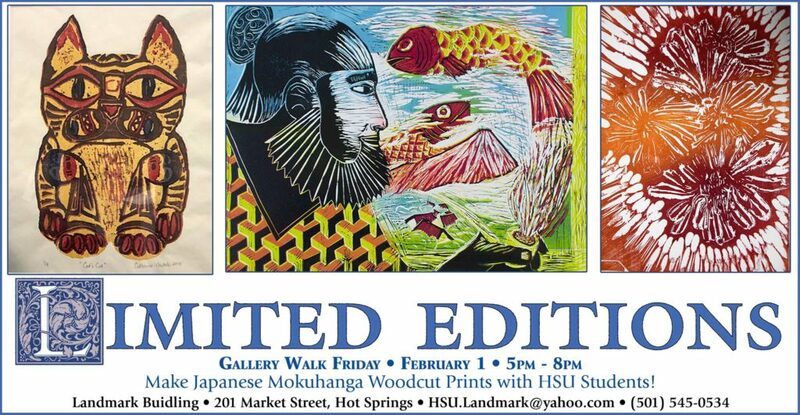 Visitors to the Feb. 1 Gallery Walk in Downtown Hot Springs will have the opportunity to create their own Sumi-Ink print at Henderson State University’s Landmark Building. A collection of varying printmaking processes, that includes work from members of the Arkansas Society of Printmakers and Henderson State students, will be on display during the Gallery Walk from 5-8 p.m.
Henderson art professor David Warren and his students will conduct a small workshop giving visitors a hands-on experience at printmaking. From left: Emelia Adams, Morgan Lee, Zaquary Hale, and Luke Fields. Henderson State University’s Department of Music will present its annual President’s Concert at 7:30 p.m. Feb. 2 in the Russell Fine Arts Harwood Recital Hall. The program features student soloists selected as winners of a competition in November. 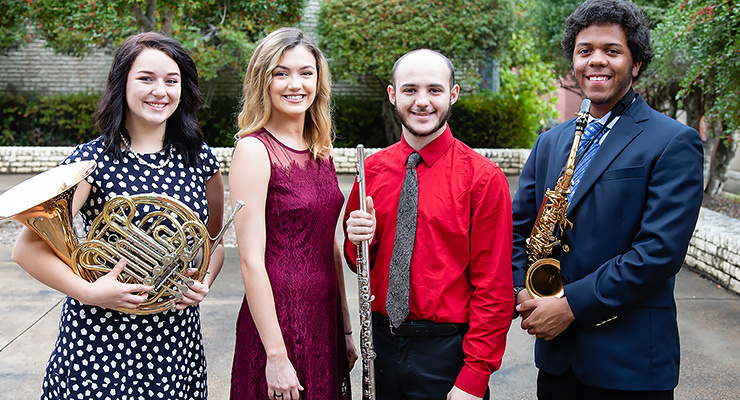 “The opportunity for some of our best students to perform solo works accompanied by an orchestra, including members of the Arkansas Symphony Orchestra, is one of the highlights of our entire year,” said Dr. Steve Becraft, coordinator of the competition. The concert will also honor Dr. Kay McAfee, retired professor of organ and music history at Henderson. Morgan Lee, a soprano from Malvern, who will perform “Batti, batti o bel Masetto” from Mozart’s Don Giovannie. Luke Fields, a saxophonist from New Boston, Texas, will perform the first movement of Ibert’s Concertino da Camera. Zaquary Hale, a flutist from Bryant, will perform Otar Gordeli’s Concertino for Flute. Competition judges also awarded honorable mention to Emelia Adams a hornist from Arkadelphia. McAfee is a 1968 graduate of Henderson, and attained the advanced degrees of Masters and Doctorate at the Eastman School of Music and the University of North Texas. She established the Mae Whipple, Robert Ellis, Wayne McAfee, and Kay McAfee Alumni Funds. The Whipple Fund has supported the President’s Concert every year. In her professional career, McAfee performed throughout the South, was organist and pianist for numerous large choral offerings and solo recitals, and was a featured artist at American Guild of Organists (AGO) Regional Conventions. She has written articles for The Diapason, the French Organ Music Seminars to England and France, reviews of AGO conventions, and the chronicling of the history of the Central Arkansas Chapter of the AGO at its 50th anniversary. 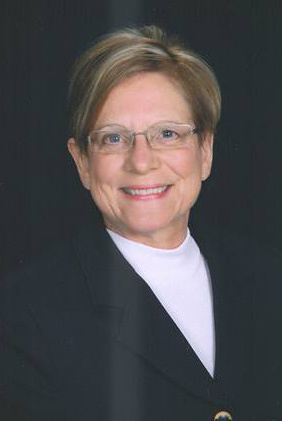 McAfee has served as rehearsal and performance pianist for six Henderson drama department musicals since her retirement, and has served as organist for numerous Henderson choir concerts. She contributes funding for the Henderson Opera Workshop and theatre department. In 2007, she was inducted into the Henderson Academy by her peers and colleagues in the music department, and, in 2010, was named a Distinguished Alumna of Henderson. In 2016, she and four of her former students performed an organ recital as part of the Sesquicentennial observance of Henderson. McAfee currently serves as organist and children’s choir accompanist for First United Methodist Church of Arkadelphia. She and her husband Wayne, a former professor of art at Henderson, have two daughters, Lee and Rachael. For more information, contact Becraft at 230-5412 or becrafs@hsu.edu. Henderson State University will host a Martin Luther King Jr. Community Banquet at 6 p.m. Jan. 21 in the Garrison Center Ballroom. 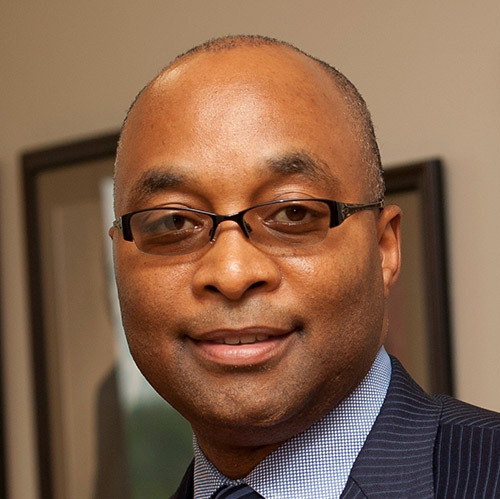 Dr. Fitzgerald Hill, an Arkadelphia native, will be guest speaker. Tickets are $10 each and can be purchased online at https://bit.ly/2sf109m. The event is free for students, but they must sign up online. Hill is executive director of the Scott Ford Center for Entrepreneurship, community development, and foundation at Arkansas Baptist College. He played football at Ouachita Baptist University, and coached for the University of Arkansas and was head football coach at San Jose State. 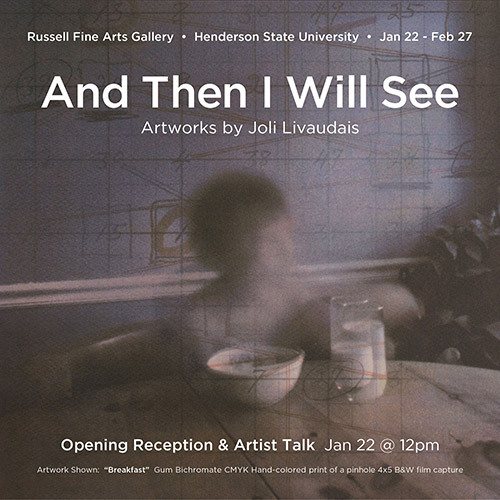 Artwork by Joli Livaudais will be displayed at an exhibition in the Russell Fine Arts Gallery Jan. 22-Feb. 27. A reception and gallery talk with Livaudais will be Jan. 22 from 12-1 p.m. in the gallery. Livaudais received her BA and MS in Experimental Psychology from the University of Texas at Arlington before establishing herself as a freelance commercial photographer in Dallas. 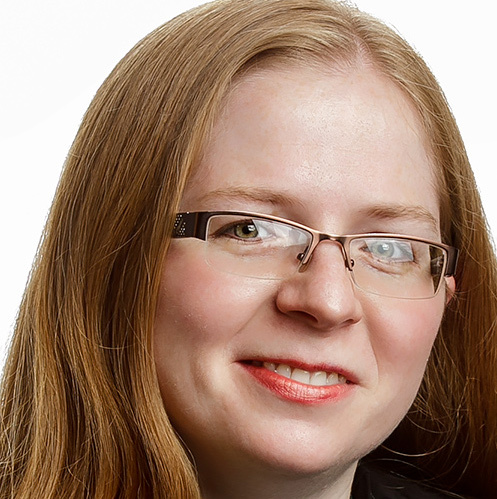 She received her MFA from Louisiana Tech University in Ruston in 2013, and is currently an assistant professor at the University of Arkansas at Little Rock. Her fine art photography explores both historical photographic processes and contemporary alternative methods, including gum bichromate printing, photo sculpture and installation, and incorporates her interest in both psychology and spirituality. Livaudais’s artwork has been featured in both solo and group shows nationwide, and she was featured as a historical process gum bichromate artist in Christina Anderson’s text on the process, Gum Printing: A Step-By-Step Manual, Highlighting Artists and Their Creative Practice, published in 2016. Dr. Shannon Clardy, professor of physics at Henderson State University, presented a talk at the American Association of Physics Teachers Nation Winter Meeting in Houston. High school and college physics educators from across the country fathered to share their research in physics and physics education. Clardy’s talk was entitled “University Physics Service Learning in an Alternative Classroom.” She presented information on implementing service learning, and specifically how her class worked with the Arkadelphia Alternative Classroom Environment (AACE). The AACE was named a “model program” last year by the Arkansas Department of Education. Henderson State University announces the students listed on the Dean’s List and Honor Roll for the Fall 2018 semester. To be named to the Dean’s List, a student must have achieved a 4.0 grade point average for the entire semester. To make the Honor Roll, a student must have received at least a 3.5 grade point average for the semester.